90 Minute Lakewood Yoga Workshop Teaches You How to do all the Advanced, Fun Poses the Teacher Calls Out in Yoga Class! When the yoga instructor starts calling out the most difficult balance poses, do you go into child's pose? Whether you're a seasoned yogi looking to expand your practice with new possibilities, or you've never tried an inversion before, this workshop - on Saturday, August 27th, from 11:30 - 1:00pm - is the universe offering you an opportunity for expansion! Enter Your Name and Email Now to Reserve Your 50% Off Discount and Get Access to this Practice-Expanding Arm Balances and Inversions Workshop for just $25! 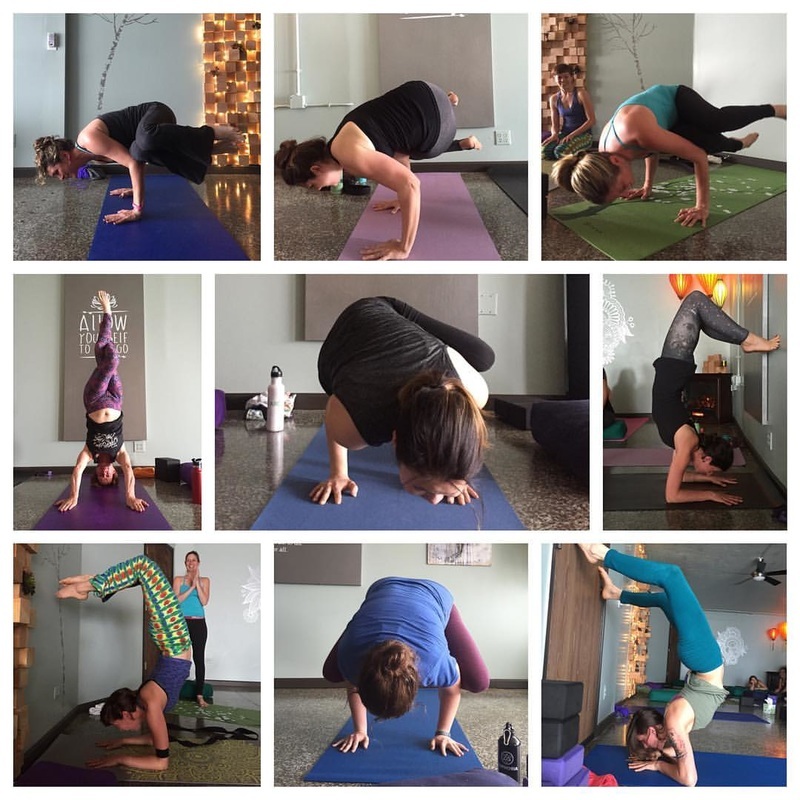 Here are a few of the people and the poses they learned at our last Arm Balancing and Inversions Workshop! Enter Your Name and Email Now to Get This $50 Workshop for Only $25.